Maira is a powerhouse of determination. She is known for her ability to work hard and help teams achieve their goals. Since joining Davis & Company, Maira has worked with clients, such as D+M Group, Rogers Communications and BD. Prior to joining Davis & Company, Maira worked at General Motors St. Catharines Powertrain as a Communications Specialist. During her time there, she managed several internal and external events and communication. 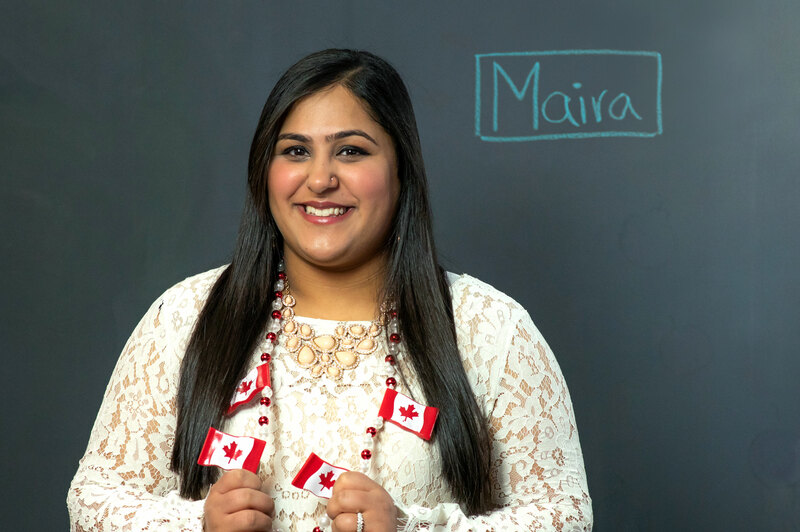 Maira received her honors degree in communication studies from Brock University and holds a post graduate degree in public relations from Mohawk college. One of the first projects I had the opportunity to manage from start to finish involved worldwide digital signs refresh for a large pharmaceutical site. It was interesting to see how quick headlines and visuals could capture the attention of employees as they walk by high traffic areas. Seeing the final product exceed client expectations. Interior design. I love decorating! What’s your favorite communication channel or tool? Spend time with family and try something new. Tea and snacks in front of the TV. What’s your most unique hobby? I used to really enjoy playing rugby and painting…it’s been awhile. If you had only one day left on earth, what would you do? Fly to Vancouver and take a train through the Rockies and skydive over Lake Louise in Banff, Alberta…that’s the dream! I’d love to move back to Canada any day. You just found a genie. What’s your first wish? A million dollars so that I can travel the world. My husband, family and friends, my phone.